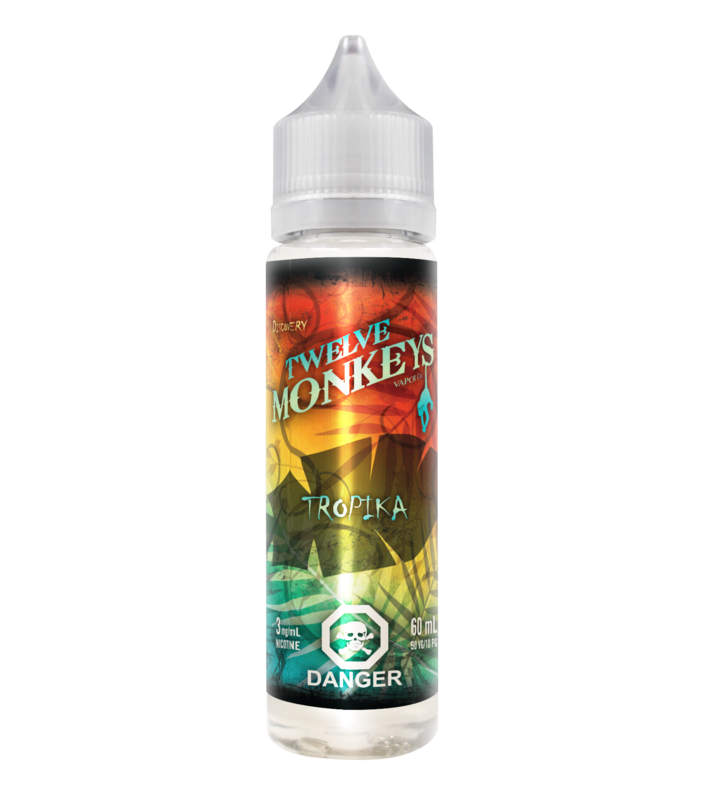 Tropika by Twelve Monkeys is the ultimate tropical e-juice. But we can’t tell you what’s in it. All you need to know is that it’s a delicious mix of all the tastiest, freshest tropical fruits known to man, and it’s pretty darn refreshing. Sold in 60 mL bottles. Available in 0 mg, 3 mg, and 6 mg.